Use our life insurance loan calculator to receive an instant loan estimate. How does the life insurance loan calculator work? 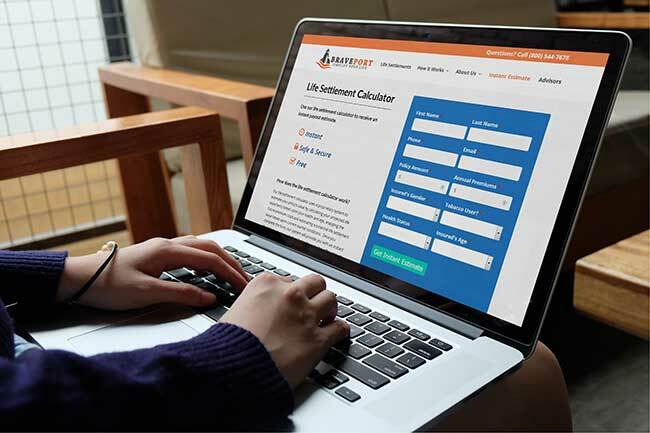 Our life insurance loan calculator uses a proprietary system to determine a potential loan amount value based upon your health, age, future premium costs and current market conditions. Once you complete the form, our system will provide you with an instant estimate of your projected life insurance loan amount. How accurate is the instant estimate? Our professionals have worked hard to develop a calculator that is accurate as possible based on the information inputted by the client. However, since every person’s health profile is unique and there are thousands of different types of life insurance products, our most accurate estimate will come after we are able to review your medical records and obtain policy information directly from your insurance company. Our goal is to provide you with a preliminary estimate to help you decide if it’s an option for you. If the result is not what you expected, please contact us for more detailed underwriting to determine if there is value in your policy. Annual Premiums – Enter the minimum yearly premium necessary to keep your policy in force. If you need help determining this amount, please contact us. Health Status – Do your best to select the appropriate health status. If you’re not sure what category to choose, contact us for assistance. Find out your potential life insurance loan amount and end your financial stress. What is a Life Insurance Loan? Copyright 2018 BRAVEPORT, Inc. All rights reserved. BRAVEPORT's services may not be available in all states and such services where available, shall be transacted by BRAVEPORT, Inc. or by a principal of BRAVEPORT, Inc. Some states may use the term "viatical settlement" as opposed to "life settlement" to describe all transactions, regardless of the health of the insured. All stories, reviews and data provided on this website are based on actual transactions processed by BRAVEPORT and the specific details of each case, including but not limited to the names and images of our clients may have been changed to protect their privacy. Due to the inevitability of internet to enter States without intention, this website or any other correspondence does not constitute a solicitation for business in any particular State. Void outside the United States and where otherwise prohibited by law. TEXAS DISCLAIMER - This website is not intended for owners or a life insurance policy or a certificate holder under a group policy in the State of Texas. CA Resident Producer and Life Settlement Broker License #0H44746. Other state license information available upon request.